ViewSonic PJD5155 is powered by SuperColor Technology that is good for a wide color range compared to other DLP projectors. This ViewSonic 3300 lumens video projector carries a smart design with an optional cable management hood that is located at the back of the projector. This is really good to hide cable clutter and exposed ports. 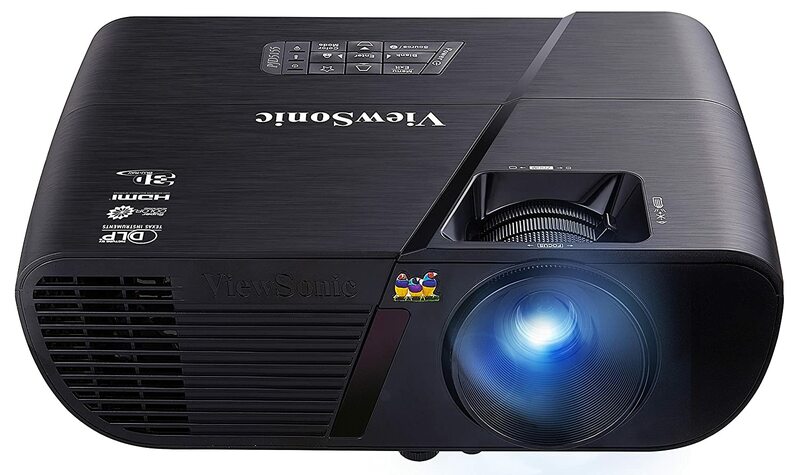 Further, this ViewSonic video projector has balanced color and brightness. It comes with the option of five special view settings to deliver the best viewing experience in any lighting condition. Also, it comes with 3D Blu-ray ready hdmi input, so ViewSonic PJD5155 is good to display 3D images directly from 3D Blu-ray players. This option provide really a great convenience to connect to any HDMI enabled devises like personal computers, laptops and many other devices. ViewSonic PJD5155 is powered by ViewSonic’s proprietary SonicExpert technology that has built-in enlarged speaker chamber and high capacity amplifier to deliver up to 20Khz sound range. Since it comes with an integrated speaker so it will surely please the audience with the high quality sound.